B-complex vitamins perform many functions in the body, most notably helping convert food into energy. They also play a role in red blood cell production, brain and nerve function, and more. The body uses more of these vitamins during times of stress. Since the body does not produce these eight vitamins, you need to obtain them through diet and supplementation. 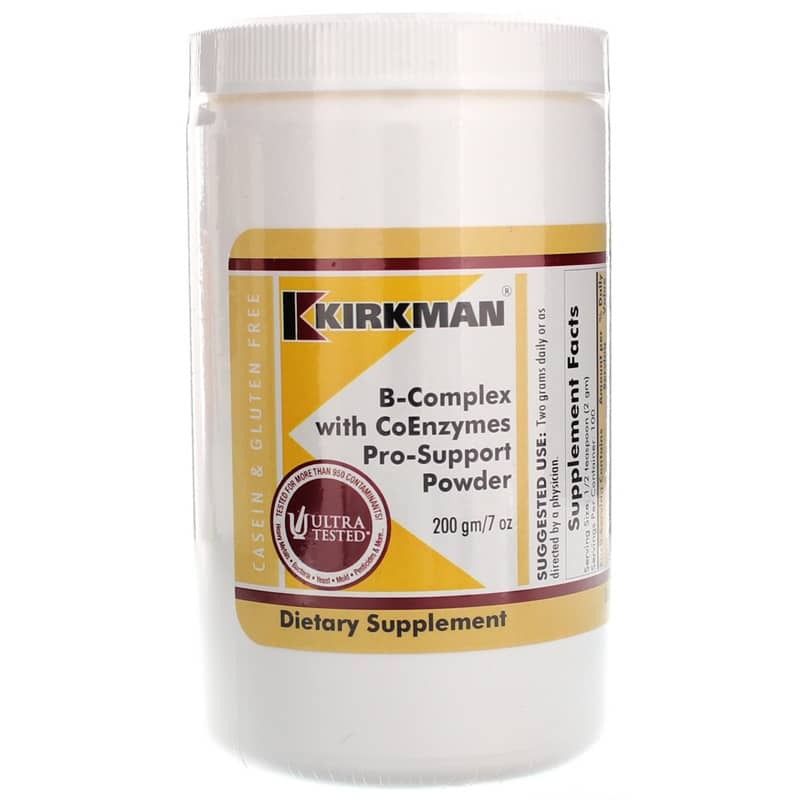 Kirkman offers a dietary supplement called B-Complex with CoEnzymes Pro-Support Powder that supports body systems and structure. This powder can be mixed in water, juice and soft foods. Suggested use of this supplement is to take two grams daily or as directed by a healthcare provider. It contains no casein, gluten, wheat, soy, sugar, milk, fish, gelatin, yeast, tree nuts, peanuts, artificial flavorings, colorings or preservatives. 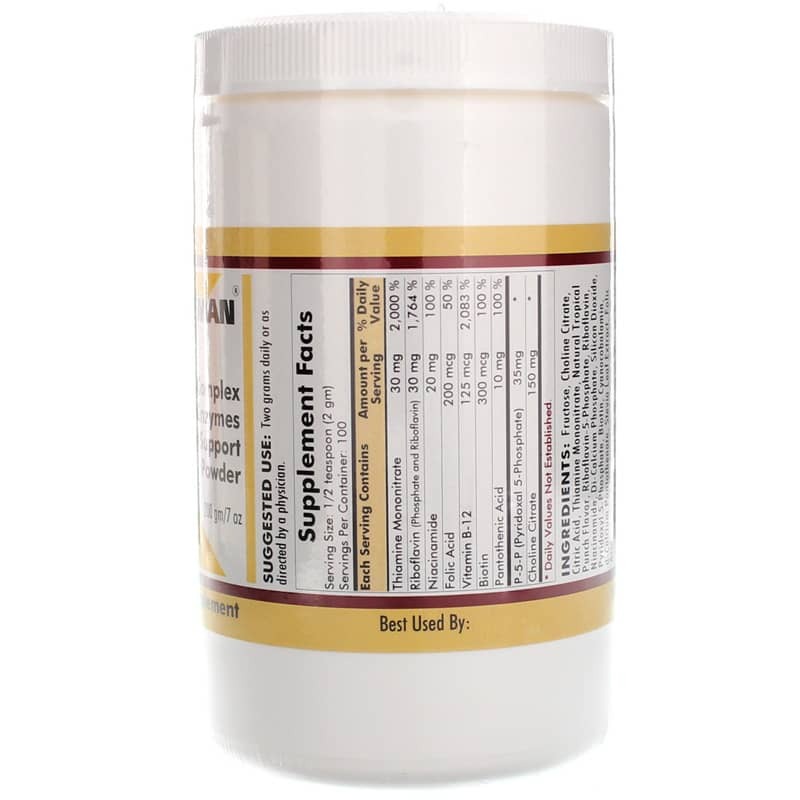 Ingredients: Fructose, Choline Citrate, Citric Acid, Thiamine Mononitrate, Natural Tropical Punch Flavor, Riboflavin-5-Phosphate, Riboflavin, Niacinamide, Di-Calcium Phosphate, Silicon Dioxide Pyridoxal 5-Phosphate, Biotin, Cyanocobalamin, d-Calcium Pantothenate, Stevia Leaf Extract, Folic Acid. 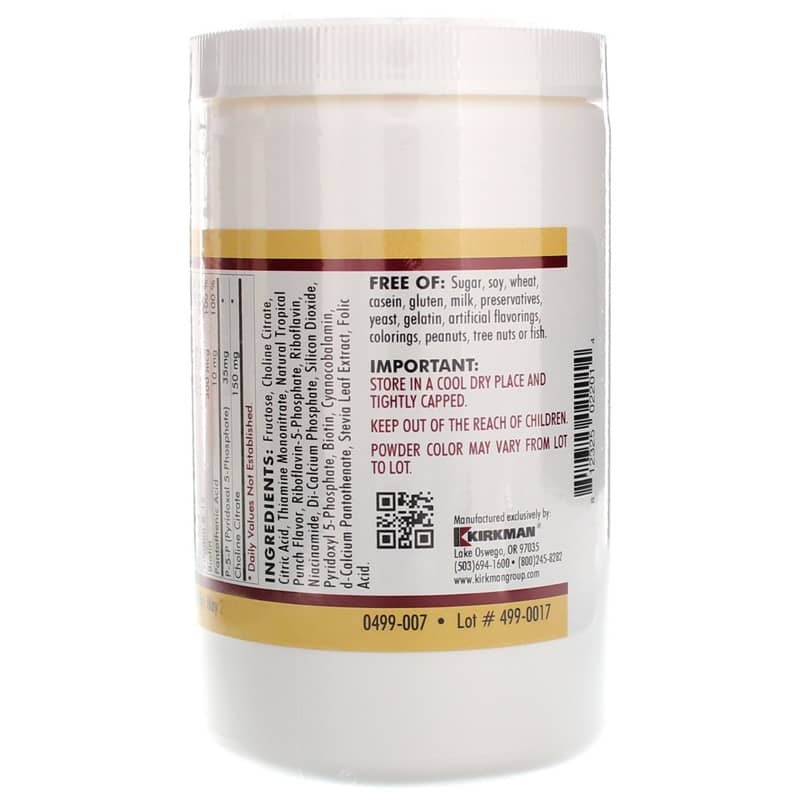 Contains NO: Sugar, starch, soy, wheat, casein, gluten, milk, corn, preservatives, yeast, gelatin, flavorings, colorings, peanuts, tree nuts or fish. Adults: Two grams daily or as directed by a physician.